Since January 2016 "Il Torrione has officially joined "La Strada del Sagrantino". What is it? 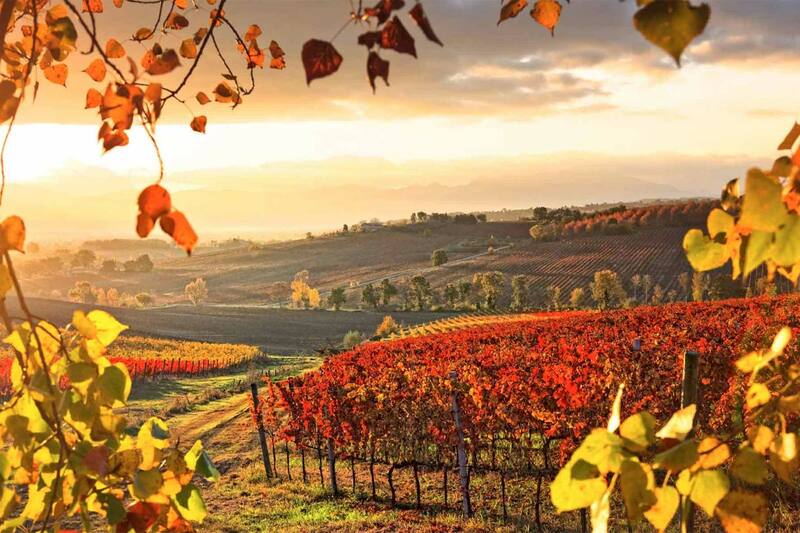 In the centre of Umbria there are about 16000 hectares of hills and slopes where superb wines are produced. This land with its unique geological characteristics, stretches out along the gentle slopes that border the southern tip of the Umbrian valley, just a few kilometres from Assisi, Todi and Spoleto. “La Strada del Sagrantino” is a cultural, food and wine trail which meanders among these hills cultivated with vineyards and olive groves, dotted with towers, villages and medieval castles. Montefalco, often referred to as ‘the balcony of Umbria’ is the centre of this area of primary importance for high quality wine making, which includes the municipalities of Bevagna, Gualdo Cattaneo, Castel Ritaldi and Giano dell'Umbria. The cultivation of vines in this area dates back to the roman era and was referred to by Pliny the Elder in his book ‘Natural History’. Archive documents from the Middle Ages tell of lands cultivated with vineyards and attest to the constant care that the vine-dressers took in cultivating vines and producing wine. A distinctive symbol of this territory is without doubt the DOCG sagrantino of Montefalco. This is a wine made entirely from the unique sagrantino grape variety. One theory on its origins is that it arrived in Montefalco with the Franciscan friars who came from Asia. Though small scale cultivation of indigineous Sagrantino grape dates back to 1549 where monks used to create a sweet sacramental wine, it all but disappeared and was nearly extinct by the 1960s. It was only in the late 1970s that a handful of brave winemakers relearnt how to tame the grapes aggressive tannins to produce the bold, earthy, dry wine which is a perfect pairing for sharp strong cheeses like Pecorino, black truffle and meat based dishes of Umbria. The Strada del Sagrantino leads the traveller to discover the most important and typical Umbrian products: the Montefalco DOC and Montefalco Sagrantino DOCG wines and the extra virgin olive oil, all of which are present at Il Torrione for your enjoyment. This combined with the history, nature, art and culture of food will ensure that your stay is a truly memorable one.